Cut through the bull, get the Toro. The Hutchinson Toro Tubeless Cyclocross tire is performing at its best when things have gotten nasty. Whether it’s mud, loam or sand, loose terrain bends to your will when you’ve got the Toro’s high lateral knobs digging in. The versatile tread pattern is open enough to shed the mud on those wet days, without getting in the way on the drier days. This version of the Toro is tubeless-ready, so with a little sealant and some clean valve cores, you’ll be able to run much lower pressures and not worry about pinch flats. The 127 TPI casing offers a very supple road feel and an added bit of puncture protection, perfect for training rides or races alike. High lateral knobs dig into wet, loose terrain. 127 TPI casing for a light and comfortable tire. Available in 700c x 32mm. Do not waste your money on these tires. The fit is so insanely tight they would not seat tubeless on my Stans iron cross wheelset even when using a air compressor. Ran a tube in them for several months in hopes they would stretch some but that did not work either. Eventually got a flat and it took me an hour to unseat the tire from the rim because the fit was so insanely tight. Still unable to seat it tubeless I put a tube in it and pumped up to 70psi and the bead blew out on the tire. The tire is now toast and I had to buy a new tire. Went with a Bontrager which went right on in a few seconds without any issues. I had the same exact problem with my Hutchiinson tubeless road tires, the Fusion and Atoms. I'm done Hutchinson tires across the board. They have definite design flaws in their tubeless tires. Whatever savings is temping you buy these tires, DONT !!! The money you save will not be worth the amount of aggravation, frustration and head aches Hutchinson tires will give you. Thanks for your feedback. We're sorry you had a difficult time with the tires, and we would be happy to help you get set up with a product that better fits your requirements. Please don't hesitate to give us a call or shoot us an email and we will help you get rolling! I ran these tires for a full CX season without any hassles at all. No burps, no flats. Mounted easily on a set of Velocity A23s with a hand pump. 2oz of Stans per tire & it was good to go. I gave them 4 stars because they didn't feel quite as sticky as I'd like, unlike a set of PDX. Very nice tires nonetheless. I thought I'd give these a go as they were on sale. Had on shelf for over a year waiting to be needed. Decided to mount. Mounting on AC 420 aero tubeless wheels. Thumbs started to bleed from slight nail separation but I finally rolled them on. Inserted sealant. Couldn't get to seat so got the air compressor and that seemed to do it. While checking the bead noticed one area hadn't seated itself properly. So tried with floor pump to see if that might do it and the bead blew. A bit deaf and lathered in sealant. Had a similar experience with a Hutchinson 29er tire in the past. Going to stick with Vittoria tubeless. Easier on and no deafness. 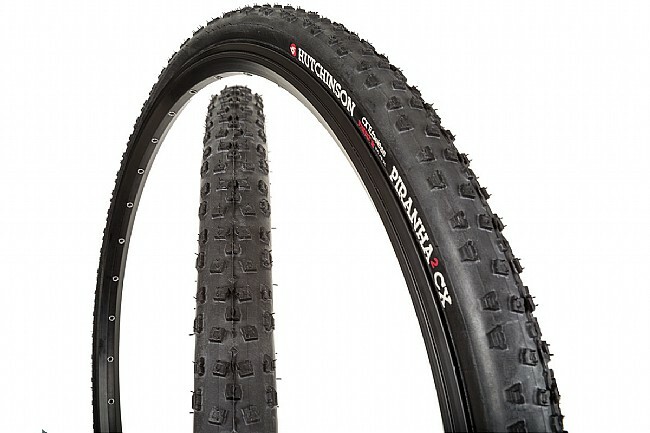 Ride smoother, faster, and lighter with tubular tires.